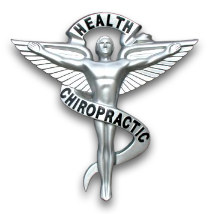 your chiropractor in Fullerton, CA. Call us today at 714-773-9333. Dr. Kim has practiced over 17 years and is one of the best chiropractors in the Fullerton, CA area specializing in chiropractic care and wellness. Dr. Kim is a chiropractor committed to providing pain relief for many symptoms and conditions such as disc herniation, sciatica, and residual pain from automobile accident so that you can have a higher quality of life. Don't just take our word for it though; visit our testimonials page to see what our patients have to say. At our office you will receive the best care through the use of modern chiropractic techniques and technology. Our office has state of the art digital x-ray system to minimize radiation exposure and for more accurate diagnosis. Dr. Kim and the staffs are very professional yet kind. Call us today and we can develop a chiropractic plan specific for you.